Note: This tutorial was originally published in Josh Tynjala‘s NextGen ActionScript web site and donated to Apache Royale. 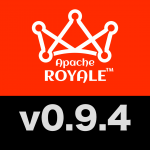 The tutorial has been adapted to correct the things that changed in Apache Royale since it was published. Over the years, many developers have dreamed of using ActionScript on both the client and the server. Today, the Apache Royale™ SDK finally makes it possible. With asnodec, we’ll get full access to all Node.js APIs, and it’s even possible to require npm modules in ActionScript. We’ll start with a simple example. For this tutorial, you should install Node.js. The newest Long Term Support (LTS) release is recommended. Create a new, empty folder for your project, and name it HelloNode. Inside the new project, create a new folder named src. This is where our ActionScript classes will go. In this class, we’re doing two things. First, we’re printing the version of Node to the console. Then, we’re using Node’s built-in dns module to look up an IP address. What do each of those executables in js/bin do? mxmlc compiles applications that use the Apache Royale framework components. Use the asnodec executable to transpile the HelloNode ActionScript class that you created above for Node.js. Finally, let’s try running our code with Node.js. 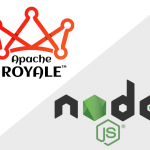 This is just a simple example, but it gives you a glimpse of how developers can bring ActionScript server-side using Apache Royale and Node.js. By using an established ecosystem like Node.js, ActionScript developers can take advantage of all of the libraries published to NPM and join a large, vibrant community.